Home / KB / 7. Legal/Privacy / Where is my data saved? CheckMarket offers a number of data regions. A CheckMarket “Data Region” is a set of data centers located within a defined geographical area where account data is stored. Account data is not transmitted between Data Regions. For accounts located in CheckMarket’s European Data Region, all data is stored processed in the EEA. For accounts in the Data Regions the United States of America (US) and Canada, all data is stored and processed solely in the respective country. For accounts in the Asia Pacific Data Region, data is stored and processed in Singapore. Your account’s data region depends on your physical location at the moment you register for a trial account. Your data will thus be stored in the data region that is closest to your physical location at the moment of your registration. So where is my data stored? You can check your account’s data region by logging in to CheckMarket and clicking on Account in the top navigation bar. The data region where your data is stored is indicated on this page. Can I move my data to another region? Yes, that’s possible. Image a Canadian person is visiting New York at the time they register for a CheckMarket account. Since the account was registered in the US, the account will be created in our US data region. This can be confirmed by checking the data region shown on the account overview page in the tool. This user would prefer to have their account hosted in Canada. 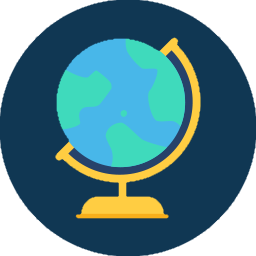 If you wish for your data to be stored and processed in another region, please contact our support team before launching any surveys or importing any contacts (Survey URLs will change). We can move your account to another data region. I require that my data be stored in a region that is not here? More data regions are coming! If you have a suggestion for a new data region or have certain requirements for data storage location, please let us know! Send us an email at support@checkmarket.com.